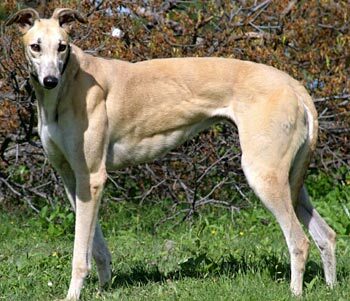 Kansas, aka Keystone Kansas, is a 3½-year-old red fawn female born September 21, 2005. Her sire is Dodgem by Design, making her grand sire the late Gable Dodge, and her dam is Keystone Juno, making her grand sire the famous Molotov. 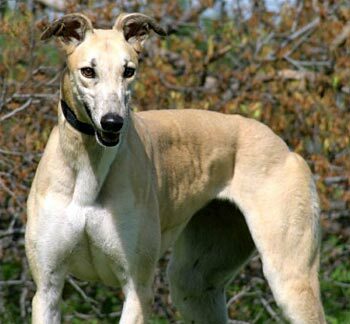 Kansas is half sibling to Santa Fe, and there are probably more in the GALT family. Kansas' 23-race career started at Corpus Christi track November 3, 2007, moving and finishing at Valley Race Park in Harlingen on April 4, 2008. 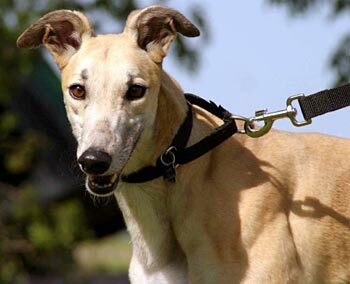 Kansas is getting used to the retired life in her foster home with several other greyhounds. Kansas meets multiple kitties: Kansas passed her cat test. She was definitely curious, but easily distracted. She got nose-to-nose with Lila, then they both backed off abruptly. Later, she sniffed at Dominos back side awhile. He decided enough was enough and slapped her around a little. Of course she backed off and didnt approach him again, even though she saw him on the move some more. She also met Nigel, but didnt pay much attention to him. As always, we advise close supervision when introducing a new Greyhound to a home with cats. We will test her with small dogs at a later time. Kansas is an extremely sweet and shy girl. She loves affection, walks and "treats". She is playful in the mornings and "talks" until she receives her breakfast and dinner. She is submissive with the other dogs but enjoys them. She is easily startled by loud noises. Kansas does not assert herself, but she is extremely receptive to petting and tummy rubs. She is very slow to become comfortable with newly introduced people, but she is certainly worth the effort and the wait.